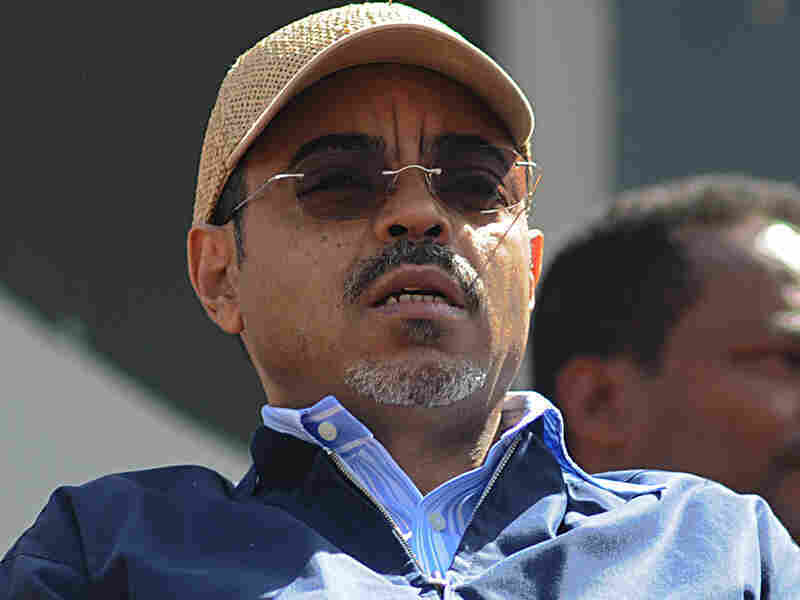 Foreign Policy: The Meles Zenawi I Knew Foreign Policy's Barry Malone has this profile of Meles Zenawi, in which he argues that Ethiopia's late dictator was a complex and sophisticated leader — a self-taught ex-guerrilla who brought his people economic growth and repression. Ethiopian Prime Minister Meles Zenawi follows proceedings at the Meskel Square in Addis Ababa on May 25, 2010 to celebrate his landslide election victory. Barry Malone lived in Ethiopia for almost five years and was Reuters correspondent there until November 2010. I once asked Ethiopia's Prime Minister Meles Zenawi, who died on Aug. 20 from an unspecified illness at age 57, whether he was a dictator. He grinned and then, stopping, just looked at me. Nervously, I did what a journalist should never do, and filled the silence. "A lot of people call you that," I said. He told me he didn't care much what foreigners thought and that the people who described him that way were rarely his countrymen. "If Ethiopians thought that I was what you say, I would not sleep at night," he said. "But I don't believe they do." I persisted that there were indeed Ethiopians who called him a dictator and that they often gathered to protest his trips overseas — where, with his ferocious intellect, charm, and ability to speak in perfect paragraphs, he was regularly a star at meetings of the G-20 or in the snowy mountains of Davos. Looking uncomfortable, he admitted that their presence saddened him. "We may be at fault in some way," he said, as my pen started scratching with greater speed, anticipating a rare confession from a man usually so sure of himself. "I am sorry," he said. "That maybe we didn't communicate well enough to those Ethiopians living abroad what is happening. What we are doing here." Meles was not your typical one-dimensional African strongman — a term often applied to him by the Western media but one that seemed somehow lazily old-fashioned and patronizing, jarring uncomfortably with his bookish demeanour. Meles came to power as one of a group of men who led a rebel coalition that overthrew brutish communist dictator, Mengistu Haile Mariam — a man who killed, by most estimates, hundreds of thousands of people in anti-opposition purges. There is no evidence that power was something Meles craved simply to line his pockets, though the financial dealings of Ethiopia's ruling party are sometimes questionable. No private jets, Paris homes, or yachts decked out with shark tanks for this African leader. Instead, friends said, on the very rare days when he wasn't working, he liked to play a bit of tennis, chat about political events outside Ethiopia, and dress down in sweatpants and sneakers to eat and drink with a small circle of family and confidantes. He was a man on a different mission. What he was "doing here" was pursuing a vision, what he called the "Ethiopian Renaissance." But he didn't like people getting in his way. "He loved Ethiopia and was proud of its long history," a Western academic who had regular email correspondence with him told me. "He wanted to restore it to glory." In the early hours of Sept. 12, 2007, Meles, decked out in traditional dress, stood to give one of the most important speeches of his premiership so far. It had just turned midnight and Ethiopia, which follows a calendar long abandoned by the West, had entered its new millennium with fireworks and tooting car horns across Addis Ababa. "We cannot but feel deeply insulted that, at the dawn of the new millennium, ours is one of the poorest countries in the world," he said, adding that "the darkness of poverty and backwardness" had dimmed the country's once proud and powerful reputation. "A thousand years from now, when Ethiopians gather to welcome the fourth millennium, they shall say the eve of the third millennium was the beginning of the end of the dark ages in Ethiopia," he said to an ululating crowd. The speech was not only important because of the ambitious vision it outlined, but because it took place just two years after the episode that will likely overshadow his achievements more than any other — the disastrous and bloody 2005 general elections. It's hard to overstate the fervor of that campaign. Ethiopians who had never lived in a democracy before were promised their first properly contested poll since Meles and his allies sent Mengistu fleeing to exile in Zimbabwe. In the end, when Meles declared that his party had won a parliamentary majority, the opposition screamed fraud. In ensuing street riots, his police and soldiers killed almost 200 Ethiopians, most shot dead. Some were beaten to death. The reaction from Meles was cold. He was sorry for the deaths, he said, but he'd simply told the security forces to "stop the insurrection." These were not normal demonstrations, he insisted. Afterwards, opposition leaders were rounded up and jailed. With the opposition out of the way, along with several journalists, he ploughed on with the day-to-day running of government. His economic achievements, and his role as an opponent of Islamism in the Horn of Africa, pleased Western donors, most of whom usually offered little more than a temporary slap on the wrist. That's not to say that Meles's attempts at reform were all mere window-dressing. The premier and his government did much to let the light in. Under his watch, a safety-net system — a form of social welfare, he called it — for the country's millions of hungry people was introduced, which, while unsuccessful at weaning them off foreign aid, ensured that the calamitous famine of 1984 and 1985 would never be repeated. Economic successes continued even after the political turmoil of the 2005 elections. Under the leadership of this former Marxist guerrilla, Ethiopia became one of the fastest growing economies not only in Africa but in the world, posting double-digit growth figures for the last seven years in a row. Infant mortality plummeted. A small middle class emerged. Roads were built. Rivers dammed. Villages electrified. Despite this undeniable progress, most Ethiopians remained poor — something Meles insisted he was working toward eradicating with a series of five-year plans. Masterful at dealing with Western governments, he cleverly played off their own security concerns and their rivalry with China and India, to which he also cozied up. There were few African leaders who could berate their donor countries while simultaneously holding out their palm for more aid money, but Meles had the chutzpah to carry it off. These achievements are even more remarkable given the fact that, according to a Western intelligence officer who knew Meles when he was still a bush rebel and after he came to power, the premier entered office knowing almost nothing about economics. "When I had my final conversation with him after spending the better part of two months in Ethiopia immediately after he took over in the summer of 1991, I asked Meles what he would like me to do to help him before I left," the man recounted. "I need to learn something about economics," Meles told him. "Can you get me some basic books?" The intelligence officer then went to an embassy, looked through its library, and picked about a dozen volumes and had them delivered to the new leader. Meles eventually sat for a long-distance learning degree from Britain's Open University. He came in a remarkable third in his graduating class despite studying while governing one of Africa's most populated countries (friends say he chain-smoked through the exams). Such was Meles's command of economic theory in later years that the former guerrilla, who had in fact dropped out of medical school at 19 to join the rebellion, was often mistakenly believed by some journalists and diplomats to have been studying economics. To continue reading this article visit foreignpolicy.com.